True is not exactly loving New Jersey. Banished from Mount Olympus and tasked with helping couples find love without using her powers, the goddess-formerly-known-as-Cupid is having a tough time. Especially now that True’s immortal love, Orion, has also appeared at her New Jersey high school—but with no memory of their relationship. To distract herself from seeing Orion flirt with another girl, True focuses her efforts on making a match: Peter and Claudia. Peter is the star quarterback and the most popular guy in school. But he’s insecure about his future, so he preemptively dumps Claudia, his girlfriend. (If she won’t want to be with him later, why stay together now?) Claudia doesn’t take the breakup too well, and she’s ready to show the quarterback of their rival school just how ready she is to get over it. But True sees something in these two seniors. She believes they should be together—but can she help them find their way back to each other (and get herself closer to home)? Or have things already spun too far out of control? I reviewed True Love #1 here, in which our heroine Eros a/k/a True Olympia is banished from Mt Olympus to New Jersey after falling in love with Orion and pulling him down from the stars. True has quite a struggle in book one learning to live as a mortal. Thankfully she’s worked a lot of that out in Complete Nothing and she was a way more likable character. She has a few friends and is settling into a high school routine. True has to match her second couple without the help of her powers, but things are complicated when she sees that Orion has landed in New Jersey and he has no idea who she is. Peter, who is the high school’s star QB, has broken up with his girlfriend Claudia. She’s Ivy League bound and Peter doesn’t think they’ll make it as a couple past his glory days of high school. Peter regrets the break-up almost immediately, but is too stubborn to admit it. True thinks that if Peter gets one look at Claudia with another guy that he’ll be running to get her back. As you might expect, True fumbles this play -sorry I had to go there- and must race against the clock to reunite the two. Combine Claudia and Peter rebound dating, True tripping over her own feet every time she’s near Orion, and Ares dropping in with fatherly advice and you have quite a story. 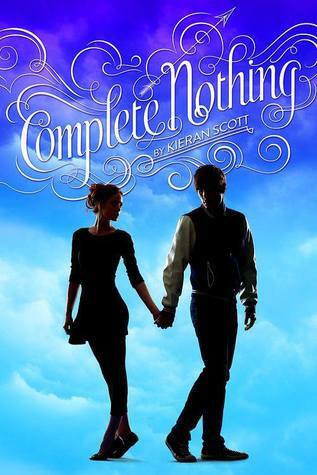 Complete Nothing was a trip back to high school, made happier because none of the romantic angst was my own. I thought Scott did a great job putting me right there in a senior year – combined with the deities that still act like adolescents! I really liked Claudia and Peter -even if Peter was kind of a bonehead at times- and I thought Scott did well giving depth to their friends too. This is a really fun series that improved into book two and I am excited for the conclusion next year! That ending is going to make me a bit crazy waiting to know what’s in store for True and Orion. Thank you Simon & Schuster Books for Young Readers for this advance copy in exchange for an honest review! Alpha Goddess had so much potential! I was totally sucked into the idea of the story and that gorgeous cover. I’m don’t know a lot about Hindu mythology, but I find the little I have read so interesting. I was really excited to read a story that brought Indian gods and goddesses to present life. Unfortunately there was just way too much going on. I could barely keep all the parties straight and at one point I realized I just didn’t care to try anymore. I liked Sera in the beginning. She’s having terrifying dreams as she turned 16-bloody kisses and monsters and is hiding them from her parents. She comes to learn that she is a goddess reborn -awesome right? She kind of sulks about this and proceeds to act basically like a petulant child. She also finds out she’s not just an average looking teen-her beauty is so much it had to be hidden away and its painful for a mere mortal to gaze upon. Really? That seems like a great message. I won’t even get into the love triangle she gets herself into-because she’s not just Sera anymore now. She’s now remembering her past lives and loves-and they’re still part of her life. It was all too much to keep straight. The end explodes into a major battle between gods and demons, but even that couldn’t keep my attention. Sera stopped to chat way too many times it seemed when she could have been saving the world. She was way too consumed with her love options. The concept of this book was fantastic, but the execution was really lacking. So sadly I’m still on the lookout for a book about Hindu mythology. Any recommendations? Thank you Sky Pony Press and NetGalley for this advance copy in exchange for an honest review. High school romance is tough—even for a bona fide love goddess. Can Cupid succeed as a mortal matchmaker? When Eros (aka Cupid) is expelled from Olympus for defying Zeus after falling in love with Orion, she is banished to what she believes to be hell. We call it New Jersey. If she ever wants to go back to the comforts of her old life, she will have to find love for three couples—without using her powers. Katrina is floundering after the death of her father and takes refuge with a boy who, while not entirely supportive, will be there when she needs him, unlike her mother. Too bad True thinks any girl Charlie talks to is perfect for him. Can she get out of her own way and help Charlie and Katrina connect, or will she be stuck in New Jersey forever? I love reading mythology and I really like seeing these timeless stories with a new twist. This was a fun and light take on Eros, the Greek god of love. Kieran Scott turns Eros into a goddess with a bit of an attitude. Eros has been so busy with her new love Orion that she’s not doing her work of facilitating love matches, so she is banished to Earth to get to work. Eros becomes True, a high school student that would fit right into Mean Girls. I admit, True was not my favorite character in the beginning. She’s whiny and self-absorbed, but I really came around on her by the end and I look forward to reading the rest of the series. I think there’s going to be a lot more to her than just matchmaking. I didn’t mind True’s less pleasant characteristics because I thought Charlie and Katrina were both just adorable. It was obvious where the romance was leading from the beginning, but the journey was worth it this case. Yes, this was a fluffy high school romance, but there the accompanying teenage angst was not overdone. Scott was able to keep it serious without too much melodrama (besides from Aphrodite and when you’re a goddess you’re allowed to be melodramatic). 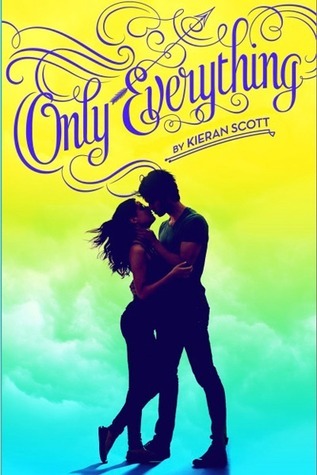 I also really love reading books where not every character is lily white and flawless so thank you Kieran for that! A very cute new series, check it out when you’re looking for a light read!